HDG Hotels finishes year with a bang… Here we grow AGAIN!!!! Ocala, FL – November 20, 2012 – HDG hotels has added yet another hotel to its portfolio which is now at 9 hotels and in excess of 800 hotel rooms. Just last month, HDG hotels added the 150 room Quality Inn and Conference Center in New Port Richey, Florida. This time HDG hotels in partnership with the Florida Business Investment Group (FBIG) based out of Orlando purchased the Citrus Hills Lodge in Hernando, Florida. 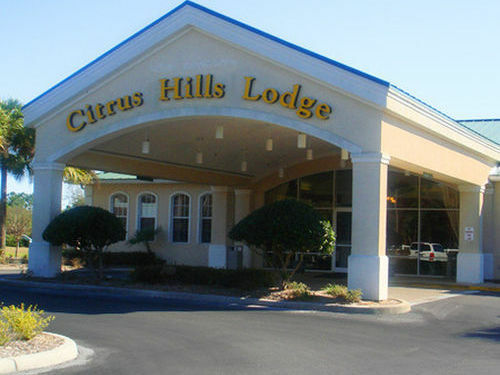 The Lodge will be reflagged to the Quality Inn Conference Center at Citrus Hills. The fifty unit hotel also offers over 3,000 square feet worth of meeting/banquet facilities. When asked about this newest addition to the HDG portfolio, HDG President, Navroz Saju spoke of the “tremendous personnel and procedures HDG has developed which has allowed it to expand.” Saju further spoke of the tremendous culture at HDG which allows it to continue to operate hotels that are award winning and significantly outperform their competitive set. Saju further spoke of his philosophy of developing win-win partnerships. In the case of the Quality Inn, he referenced the importance of partnering capital with expertise to maximize the stakeholders’ return on investment. Saju and his brother, Azim Saju, are based out of Ocala, Florida and are the principals of HDG hotels. Marion County, Florida awarded HDG business of the year award. Professionally, Saju obtained his accounting degree from University of Florida and Law Degree from Georgetown. He resides in Ocala with his wife and two sons.